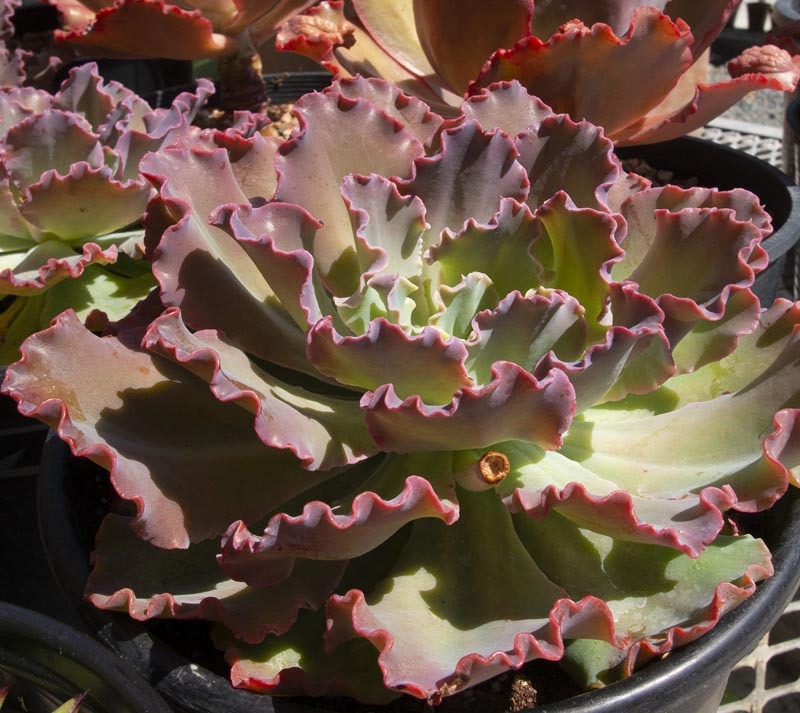 Evergreen succulent with dramatically ruffled fleshy grey-green rosettes with soft red edging that gets more intense in full sun. Red-orange flowers in late summer. Full sun at coast, afternoon shade preferred inland.